fatal dog attacks on people, including a well-publicized incident in which a four-year-old boy lost his life in a Brooklyn, New York apartment in May 2011. The latest fatal dog attack incident in the United States involving the Cane Corso happened in Michigan on July 23, 2014. In this incident, two Cane Corso dogs escape from the property where there are being kept and attacked 46-year-old male jogger, Craig Sytsma of Livonia. The incident happened in a rural area in Metamora Township, located about 45 miles northwest of Detroit. A witness to the incident tried to chase the dogs by shooting at them. It is uncertain of how the attack stopped. When police arrived the victim was unconscious and he was taken to hospital where he died shortly thereafter. Second-degree murder charges were quickly filed by prosecution filed against the the owners, a couple who are both undocumented immigrants. There appears to be a strong basis for charging the owners with second-degree murder. For example, newspaper reports indicate that there were at least three instances in which these dogs have either threatened or attacked people prior to the incident involving Sytsma. Neighbors report that the dogs were frequently loose. Moreover, animal control authorities apparently knew about some of these past instances. People in the area who concerned about the dogs feel that if animal control acted proactively about keeping the public protected from these dogs the incident would have been avoided. Second-degree murder charges filed against dog owners rarely happen in the USA. In one instance however, second-degree murder charges were filed against the man whose eight pit bulls mauled a woman on her morning walk in in Little Rock, California. He is now awaiting trial. 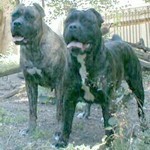 Previously, the most well known case involving second-degree murder charges involved two Preso canario dogs owned by an attorney couple in San Francisco in 2001. In this instance the victim Diane Whipple was killed in the hallway of her apartment by these two dogs. Second-degree murder charges was upheld against defendant Marjorie Knoller after a lengthy legal process, including the case being heard before the California Supreme Court. Her husband, Robert Noel, was convicted of manslaughter. More about the San Francisco dog mauling case can be found here. 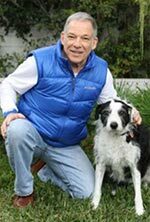 Richard Polsky, PhD has served Michigan attorneys as a dog bite expert. He available for assignment on cases that involve Cane corso dogs.